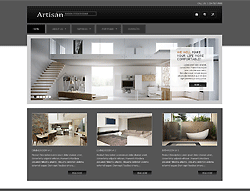 002041 Responsive Joomla! template is based on the Bootstrap and AS Frameworks. The Bootstrap Framework makes it fully responsive to all screen resolutions and aspect ratios, the AS Framework allows you to customize our templates with minimum coding knowledge. This template contains a lot of elements and will help you reveal all the necessary features of your company. The spacious content area is improved with beautiful high-resolution photos that will visually put your customers on the right track. Social widget, responsive layouts and back-to-top button. The template has everything to make the life of an average internet user comfortable on the virtual spaces.